I’m surprised you can get such nice photo of milkway. You think of ny as being full of lights. Closest thing to a nice milkway that way is cherry springs state park. It is full of lights, but sometimes with a new moon and cooperating weather, conditions allow you to photograph the milky way here. 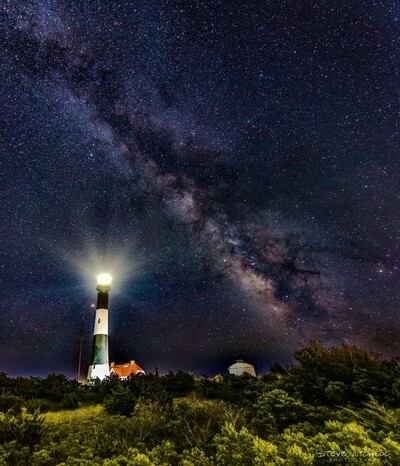 The Milky Way over the Fire Island Lighthouse on Long Island, NY.